Since the release of their epic extreme metal masterpiece ‘Armada’, the Norwegian Keep Of Kalessin is a well-respected name in the progressive black metal scene. European tours with Exodus, Hypocrisy, Carpathian Forest, Satyricon and Enslaved spread their innovative black-ish sounds all over Europe. When the new album ‘Kolossus’ appeared to be a giant in its style as well, I took the opportunity to do an interview for a decent introduction of the band to our readers as well. It took a while before the band found the time to formulate their answers, but – in the meantime I was amazed by their gig at Summer Breeze – in the end, here is the Keep Of Kalessin interview! Guitarist Obsidian C. who founded the band in 1994 does the talking. The first version of the band was called Ildskjaer. Can you tell us a bit more about these founding days? It was way back in 1994 or something that me and Ghash started this band called Ildskjaer. We were supposed to be only a two-piece black metal project where I conducted the drums and Ghash did the guitars and vocals. However, we soon wanted to start playing more live shows and thus needed some new members and a proper drummer, because I kind of sucked hehe. I was originally a guitarist and took over the guitar duties and Ghash started doing only the vocals. We got Vyl and Warach onboard and changed the name to Keep Of Kalessin just after we had recorded the demo. Two albums were released by Avantgarde Music under the new moniker Keep Of Kalessin and then the band split. What happened and what were your feelings at that time? Did you quit the music scene for a while? The band split because of personal disputes within the band. I guess everyone was pretty fed up with not getting anywhere, but that was also because there was no real work-ethic in the band at that time. We easily could have been a band of recognition already then, but we never could focus on the business-side of things and we didn't deliver when we were supposed to in the studio for instance. I think there are some moments on the first two albums, but you also hear a very young band that should've had some guidance back then. So basically the band ended and I got myself an ordinary job which was nice at the time, but I always kept making new music and I got time to rehearse more individually. When I had regained my energy to start focusing on music again I started thinking about releasing new Keep Of Kalessin material and I also took over the guitar duties for Alex (Agressor) who played in Bloodthorn, but I quit just after a couple of rehearsals when I was offered the position in Satyricon. You returned with the EP ‘Reclaim’ in 2004. It marked a change in style… an important evolution for the band, isn’t it? Definitely. It was to say that I was back, but it was also only a demo in my mind. But I always say that the style hasn't changed that much. It was just the production on the early albums that didn't capture the unique style of riffing. For the first time people started recognizing this on the EP. And the EP featured highly respected musicians from the Norwegian metal scene. Please tell us how the collaboration with Atilla and Frost came into being? I had joined Satyricon and I needed a drummer to fill the drum chair on the EP. However, I hadn't talked to Vyl in a couple of years at that time, so it was much easier for me to ask Frost if he wanted to help out on the EP. He heard the material and he thought it sounded really good so he immediately agreed to do it. I had been thinking that Attila would be perfect for my new material already when the band split up in 2000. The first one I thought about was actually Attila, but I didn't know him at the time. Me and my brother made a demo with programmed drums in 2001 where ‘Come Damnation’ and ‘Ix’ was present and we constantly talked about how great this would sound with Attila and we thought about contacting him, but it wasn't that easy back then. A couple of years later I joined Satyricon and I actually met Attila on tour. I made sure I introduced myself to him, but didn't mention anything at that night. But when I came home from the tour, I wrote him an e-mail and told him that I had some songs I wanted him to sing on. He first said that he was too busy with so many projects and that he didn't want to do any more. But I sent him the songs anyway and then when he heard the songs he changed his mind. I remember the great time period when we recorded the Reclaim EP. It was a very unique atmosphere and a great time. Then we arrive at the foundation of the current Keep Of Kalessin, with a first masterpiece ‘Armada’ as result. It was followed by your first proper tour experiences I guess. Can you tell something more about this being on the road to support ‘Armada’? Our first tour ever was during the recording of ‘Armada’. 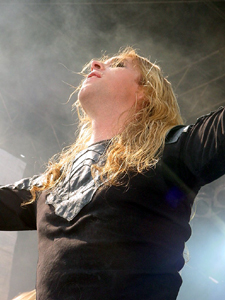 We took a break from the studio and went on an eastern European tour with Exodus and Hypocrisy in December 2005. It was an awesome first tour, but we also couldn't wait to get ‘Armada’ out there and really show people what we could do. We finished the recording when we came home and released the album in April and immediately went on a full European tour supporting Carpathian Forest. It was great to finally be in the game and start touring. 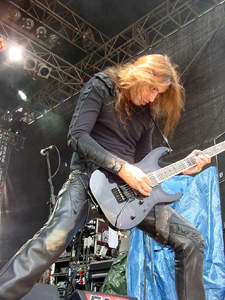 We followed with a new tour in Autumn 2006 as support for Satyricon and then also did a tour with Enslaved in 2007. It was great to finally be in the game and get all that tour experience that we so long had longed for. ‘Kolossus’ is the second CD in this line-up. Of course we know that you, Obsidian, are the main composer and mastermind of KOK, but did this solid line-up have consequences in the writing process of this album? It's definitely a lot easier to have people that you can rehearse with and try out different ideas and stuff. I hate programming drums and it's so much easier to go to the rehearsal place with Vyl and just figure out stuff together. 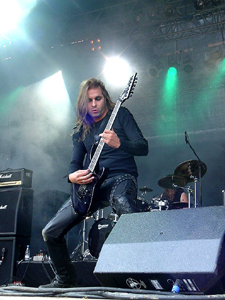 Vyl was a big part of ‘Armada’ as well, but the other two didn't join Keep Of Kalessin almost before the songs were written. But on ‘Kolossus’ the whole band has been present when it comes to arranging the songs etc. And everyone has contributed on the lyrics this time. Can you tell us about the recording process this time? Instead of using a lot of money on renting a studio, we actually invested the money in our own studio so we would have much more than 2-3 weeks to record the album. We spent a total of four months in the studio with Rune Stavnesli as the co-producer and engineer. It was a lot of ups and downs as it was on ‘Armada’ as well, but the end result was just great! I think it's important to have enough time to experiment in the studio instead of just hurrying up and recording what you have rehearsed. 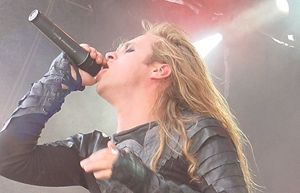 Lyrics are always important for me, so I would like to hear more about the lyrical themes on the album… Are you in charge for them as well or does Thebon has a main contribution on that as vocalist? Everyone has contributed on the lyrics this time and together we found the overall theme we wanted to use as the fundament for the lyrics. Torstein Parelius (who wrote most of the lyrics on ‘Armada’) was more of a consultant on ‘Kolossus’, but also contributed with some lyrics. All the lyrics are arranged by me together with Thebon in the studio. Your music has an atmosphere of heroism and grandeur, strengthened by mighty choirs, for instance in ‘The Mark Of Power’. KOK is not only about heaviness, but about creating atmosphere, do you agree on that? Keep Of Kalessin is first and foremost about creating atmosphere. The feeling and atmosphere in the music is actually the only thing I care about. I'm not that much into trying to make stuff sound heavy or aggressive. I like to have some unique atmosphere and really build moods that will grab the listener and send chills down his spine. Another favourite of mine is ‘The Rising Sign’. Can you tell a bit more about this standout composition? Actually, this song ended up quite different from what I first intended before we entered the studio. The early preproduction actually has some very "typical" sounding metal riffs in there, but we just thought...."hey, this is not Keep Of Kalessin. We don't wanna sound like your ordinary metal band." So we changed the entire middle part. And I think it gave it a very epic feeling. We made the video with Patric Ullaeus who has done videos for Dimmu Borgir and many of the bigger metal bands. We had no idea what to expect from this when we went to Stockholm, except that he had done great videos before. The video turned out ok, but there are also things that I think could've been much better. Because of our busy tour-schedule and that the album release was coming up really fast I think the video became a bit to hastily done. But that's what you get for that amount of money and time spent. But still, it's pretty decent compared to most other metal videos if you ask me. Recently you toured Canada and the US with Dimmu Borgir and Behemoth. I enjoyed reading your tour blogs (But well, for our readers, please tell about your impressions of being on American soil for the first time)? It was awesome! This was definitely the best tour we've ever done so far. Both bands treated us really well and there were a lot of fans of Keep Of Kalessin that showed up early enough to catch our set. The venues were packed every night! Any other tour plans or gigs in the pipeline? We've just finished the summer festivals and we're starting the autumn touring now. First we're headlining the UK from September 16th to 21st and then we head straight over to America to do a full North American tour with Kataklysm. Then we have a couple of one-offs here in Norway before we head back out with Morbid Angel, Kataklysm and Marduk on the Metalfest Tour 2008 running from 21st November until 21st December. Indie Recordings is signing excellent Norwegian bands at this time. Can you tell a bit more about this label and how you get in contact with them and eventually inked a deal? It was Espen and Erik who signed us to Tabu recordings at the time, but they both quit before the release of ‘Armada’ which was a big letdown for our part. So it was just naturally to follow them to their new label. The special edition has a bonus DVD, what can we find on this one? It contains a couple of pretty good documentaries, one from the making of ‘Kolossus’ and one from the past two years of touring. Plus a live-clip of ‘Come Damnation’ live in Paris and the first version of the ‘Kolossus’ teaser. The bonus material is actually very good compared to most other bonus DVD's you get where there normally is only a poor quality camera that the band brings themselves. I am grandly enchanted by the guitar leads on the album! I would say your style is based on classical heavy metal concerning soloing, or am I wrong? There's definitely a lot of classic heavy metal to it, but I don't think too much about what I'm playing. I've played so many styles throughout the years that everything is a mix of what I've been playing. When did you start to play guitar and got into the metal scene? I started at home at the age of seven, but it wasn't until I was nine that I started taking lessons. I started playing metal at the age of ten, but really got into the scene at fifteen. I had rock and heavy metal bands as early as ten though. I listen to everything from pop, trance, heavy metal to death and black metal. Bands I listen a lot to these days are Muse, Infected Mushroom and Bal-Sagoth. What is the story behind your name Obsidian Claw? It means black claw as well as the fact that Obsidian has some spiritual powers. And behind Keep Of Kalessin? It means the keep of Kalessin. The dragon's lair. It is a tower taken from the Earthsea book-series. 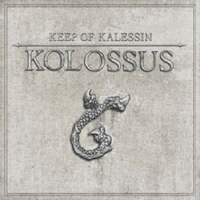 To occlude, you can add your personal view on the new album ‘Kolossus’ to convince our readers! ‘Kolossus’ is a big, epic metal album that should be listened to while relaxing and should be listened as a whole album to really understand it. It is not the darkest album out there, but it has a lot more variation in atmosphere than your ordinary black metal band. If you listen closely you will hear that the guitar-riffs are something totally different from any other metal band. It's an epic story that starts out where ‘Armada’ left off. Where the victorious ones from the Armada war are taking the war to the next level and going against the gods. To bring down the gods and become gods themselves. Enjoy!